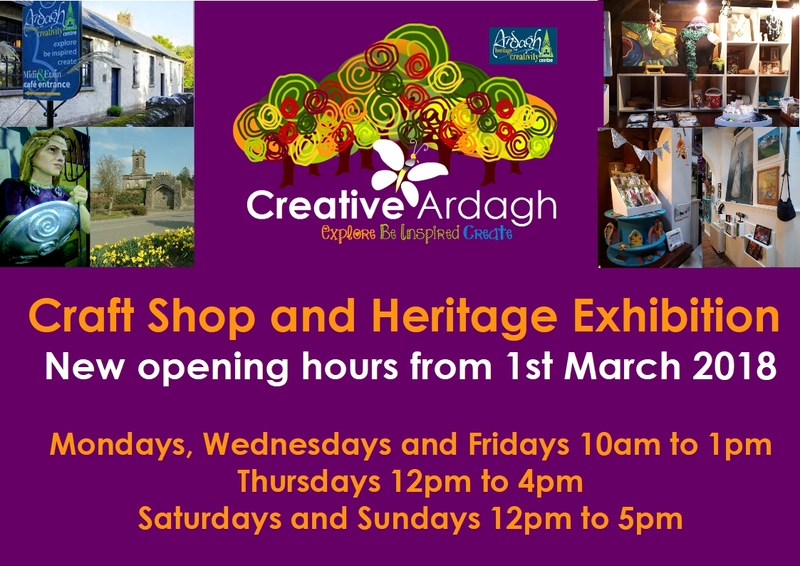 From 1st March 2018 we will have extended opening hours for the Craft Shop and Heritage Exhibition on a trial basis as follows:. Saturdays and Sundays 12pm to 5pm. 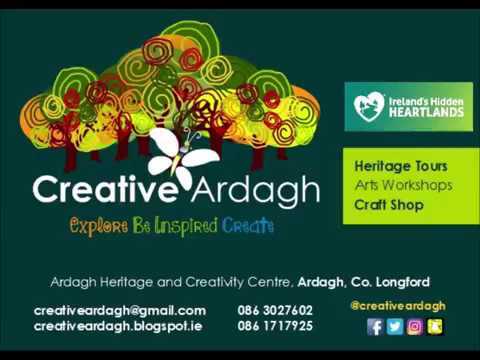 Self-directed learning and drop-in art continue or Thursdays 12pm to 4pm, €5 per person, per hour. 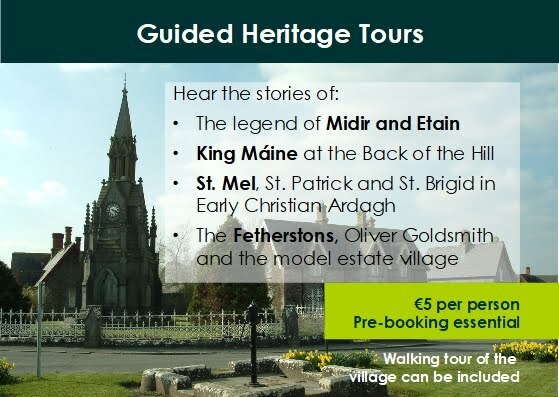 Heritage and History tours and School Programmes can be booked as usual.